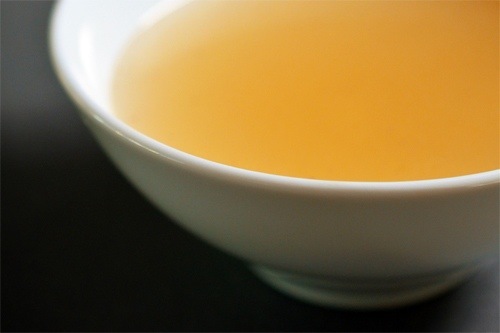 I’ve been working out the kinks on my own version of medicinal chicken broth – or bone broth soup- since my naturopath suggested it to improve gut health a few weeks ago. And it’s an uncomfortable and painstaking process for many reasons, one that really surprised me. Every weekend, I get a whole chicken at the store, something I’ve really never done before, and cut it up, boil it, simmer it and add in veggies and spices. Depending on the recipe you use – and I will include the three versions I’ve tried – it can simmer for up to 24 hours. Not that you have to babysit it, or sleep in the kitchen, but it’s definitely no 30-minute meal. The second, most surprising discomfort of the whole thing is the close connection with my food. If you’ve cut up a chicken, you know it’s a bit of a wrestling match cutting meat off the bones when it’s raw. The chicken comes to me whole, and I can see where the head was cut off. So this is just a warning, I guess, or maybe I’m the only one who feels so out of place so close to my food. This is what growing up in the burbs, away from the true life cycles people experience on a farm, will do to you. But in true Portlander fashion, I said “thank you” to the chicken who gave up his or her life so I could have medicinal broth with his or her bone marrow. Go ahead and laugh. I can’t hear you cause I’m outside hugging a tree. Here are the recipes I’ve tried from my main, go-to sites for health and holistic living. The full recipe from Living Awareness, which I used last weekend, is printed in full below. I like her explanation, and she uses rosemary in her recipe, which I have a huge cooking crush on. Look how delicious! * If only it cooked faster. I want some now. Let me know if you try one, or if you have your own recipe. Love to hear more tips. 3. How to Make Medicinal Chicken Soup By Kami McBride Printed Below. Everybody knows that soup is the cure for when you are down. Making soup with bone marrow stock is more than a mood cure; it enhances your immune system and provides you with easy to assimilate minerals. The marrow inside the bones contains nutrients that feed your bone marrow. When your bone marrow is nourished, you create healthier immune cells and can better fight off colds and flu. The bones in the soup also contain lots of great minerals that support regeneration and optimum health. When you add an acidic ingredient to your stock it helps to leech the minerals from the bones. That is why most bone marrow soup recipes have wine, vinegar or lemon juice added to them. The following recipe is for a medicinal chicken bone marrow soup filled with herbs. When making your soup stock, I recommend making a double batch so you can freeze some of it to have on hand for the next soup you make. 1) If you are using raw chicken bones instead of the carcass, cut the chicken leg bones into three pieces. Make these cuts through the bones; the idea is to expose the marrow inside the leg bones. 2) Put the cut up leg pieces and or the chicken carcass into the water. Add all ingredients, bring this to a boil then turn down and let simmer for four to eight hours. 4) Strain everything out of the liquid through a strainer except for large bones if you are going to make a fresh soup now. If you are going to freeze the stock, remove everything, including the large bones. The liquid is your bone marrow soup stock. 1) Sautee all of the herbs and vegetables in a pot. When vegetables are a little soft, add the rice and soup stock. At this point you could also add a few fresh pieces of chicken, cut up breasts are good. Let everything simmer on low for one hour and then enjoy! Right before eating add fresh greens such as chopped chard, beet greens parsley or kale.